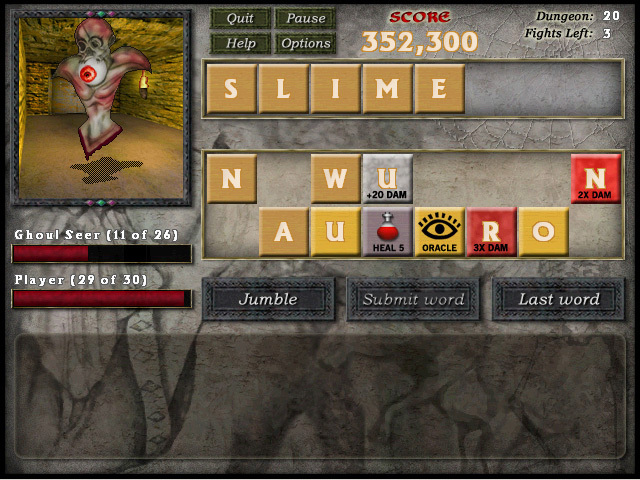 Fight your way through 25 dungeons of evil creatures by arranging letters to create magic words. 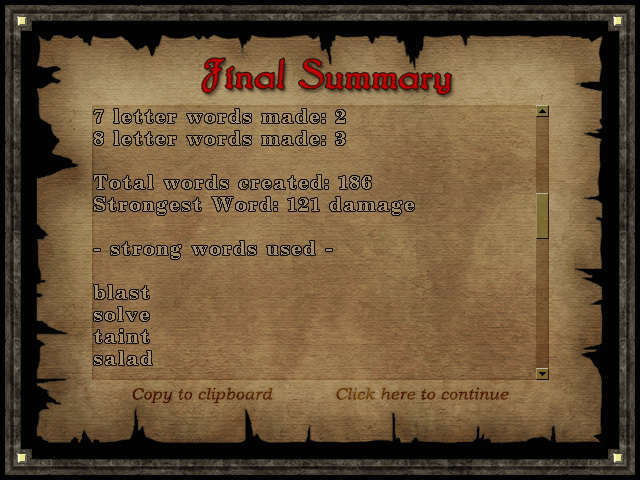 Dungeon Scroll fuses the challenge of a word game with the excitement of treasure seeking in the murky depths. 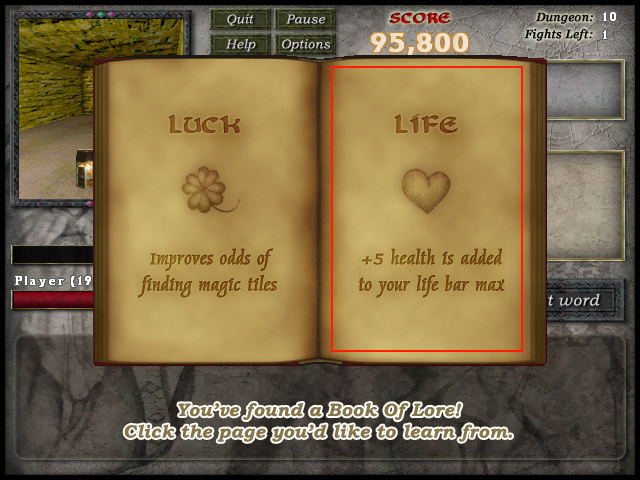 After blasting rats, skeletons and even a dragon or two share your exploits with the global score system. Snazzy sound, sweet action, and rock solid gameplay make this game an addiction that will actually make you smarter! 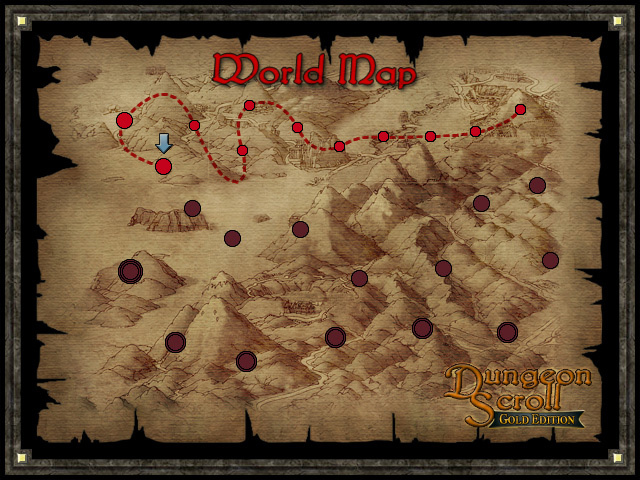 View the Dungeon Scroll Global Rankings. Click here to download it now! (3.5 MB) - You'll have a good time with it I bet. Get the full version now via our secure fully automated instant purchase system! Latest version is 2.03a released June 9th, 2008. Try it now! For support, please email support@rtsoft.com or post in our forums.